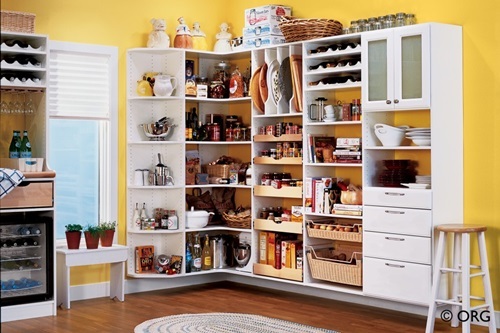 Shelving, I know you will say what is the new, I will tell you what. 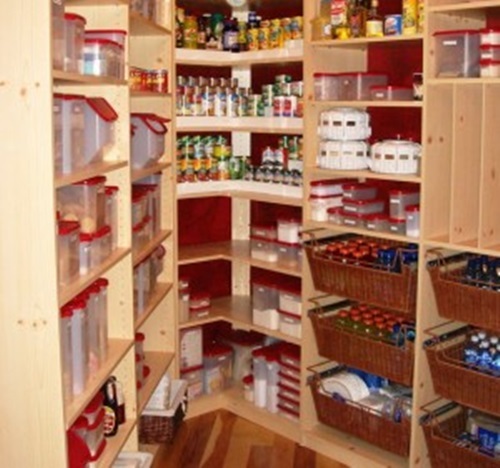 You can arrange your pantry stuff on selves according to their category; for example, you can put all the oil bottles on a shelf or couple shelves and write oils on a label and stick it on each shelf. 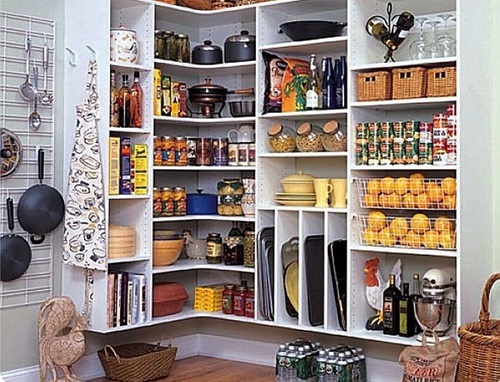 You should also put your shelves at different heights, so you can store the tall stuff like oil and vinegar bottles and the tall jars. 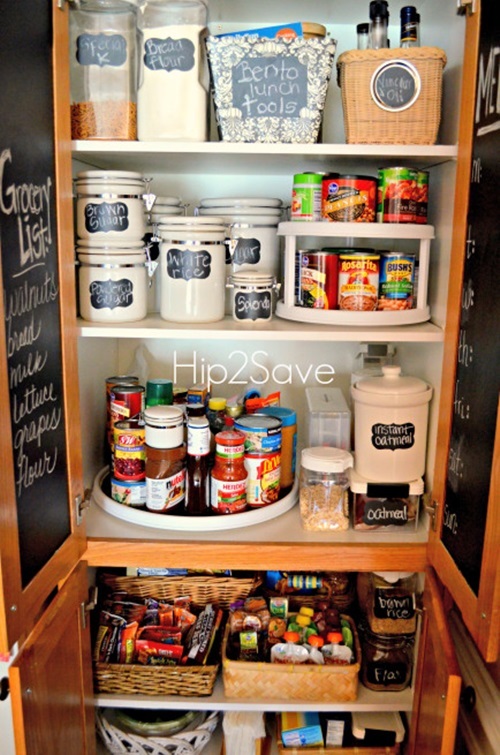 Another good idea is to use some risers or baskets to put the jars and the stuff that don’t lie down easily on the shelves like, the soup mixes. 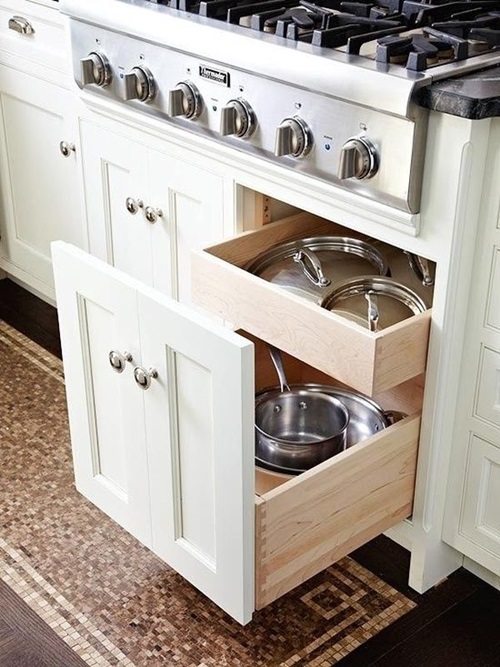 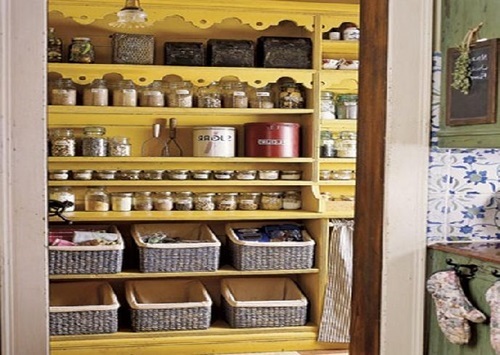 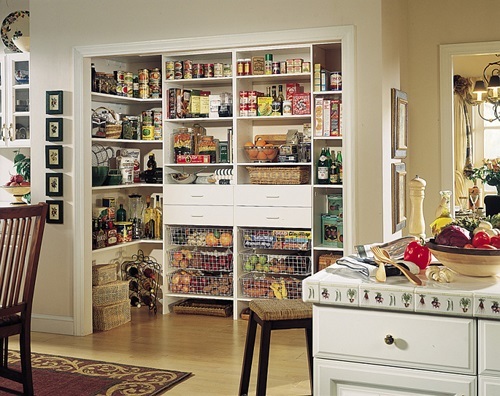 These ideas will help you to make the best use of your pantry space and it will provide you with additional storage places for your stuff. 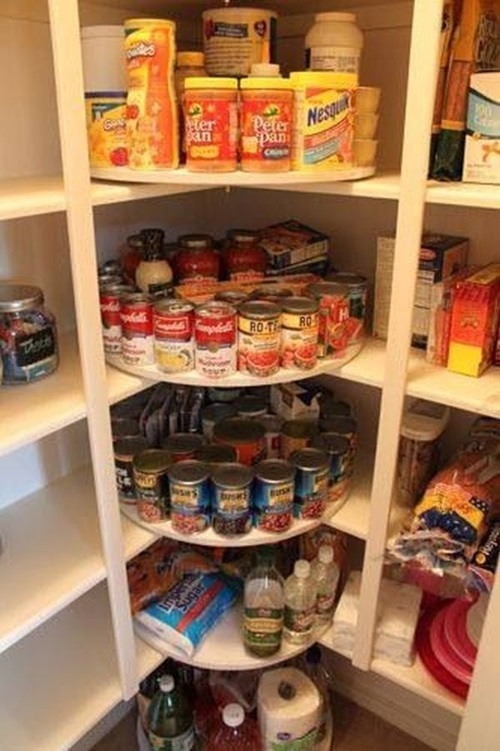 You can go tricky and put the tall stuff behind and bring the shorter stuff at the front, so you can see all your stuff clearer and to save more storage places. 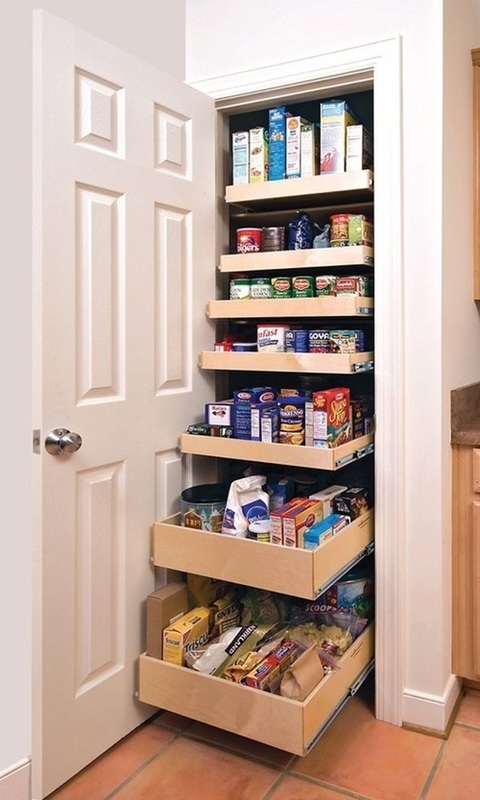 Lazy Suzan please join us, this Suzan really helped us and gave use such a handy method to use in the corners, you can buy one for your pantry, it will help you to reach all your stuff easily. 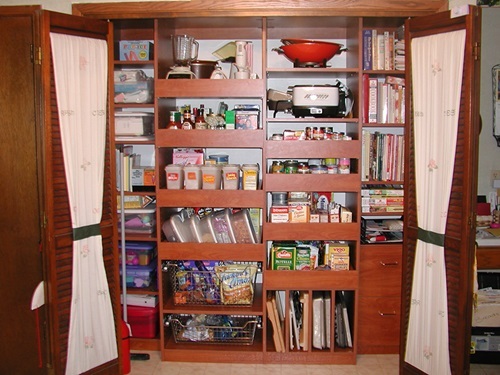 Take a look at your pantry door; yes we will use it as a storage area. 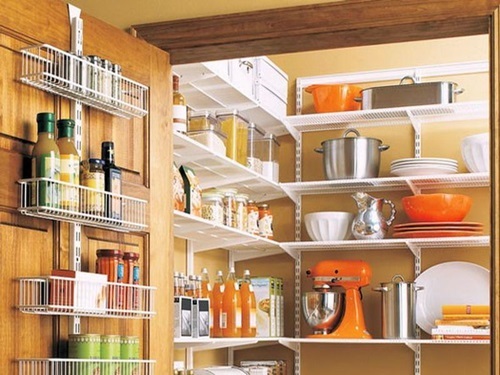 Just bring some hangers and put them on your door. 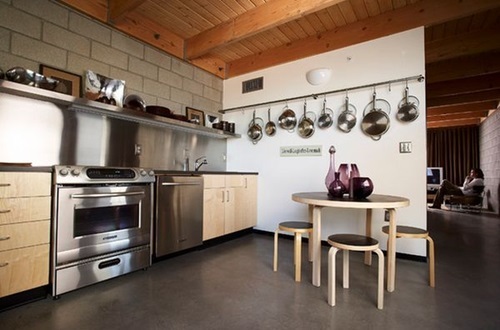 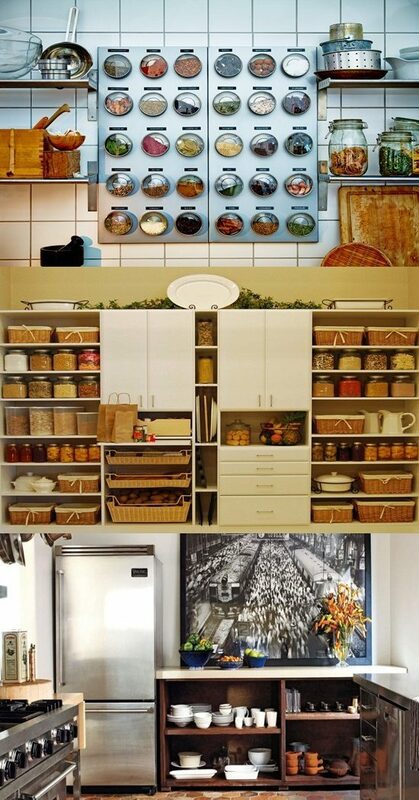 You can hang some small baskets as an additional storage place or you can hang some stuff directly on the hangers. 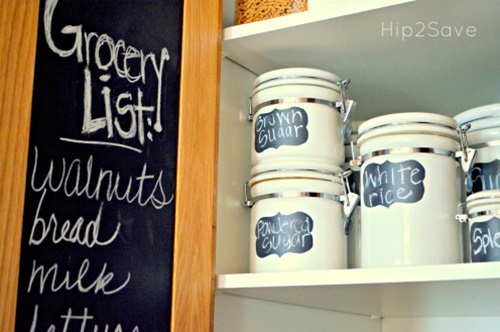 It’s so important to check our stuff every once in a while and write down a list of all the things that you need to buy. 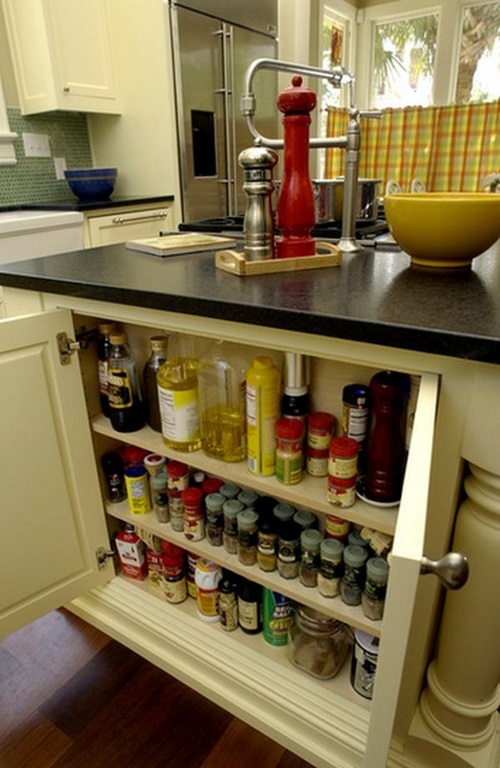 It would be such a good idea to write the purchase date on some stuff that loses its flavor after a while like spices. 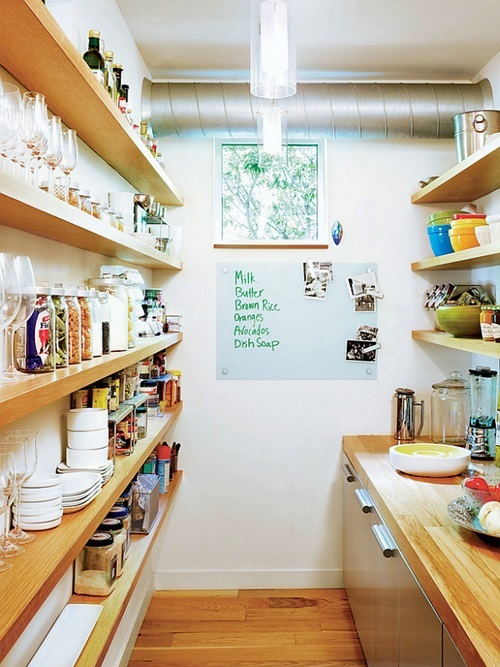 You can stick a small paper or use a marker pen. 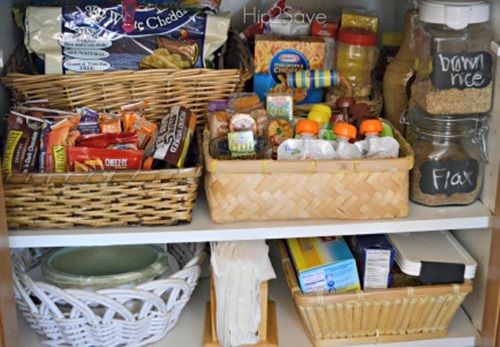 Some stuff like, cereals and chips will stay more fresh, if you keep them in their original bags. 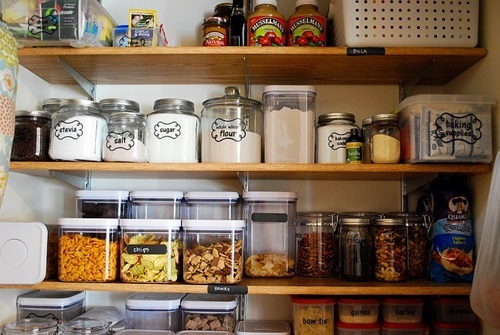 Use see through containers that are tightly closed to protect your food and to be able to see what it contains. 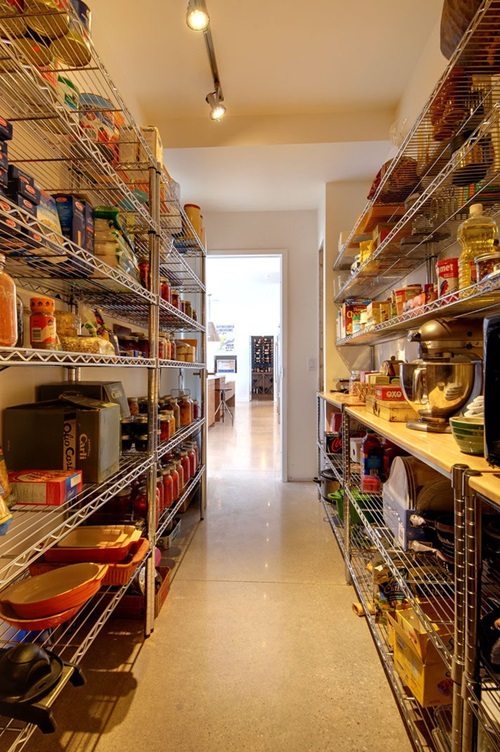 Having a pantry in your kitchen is such an amazing thing, but it’s not amazing to keep searching for the things you need for long times. 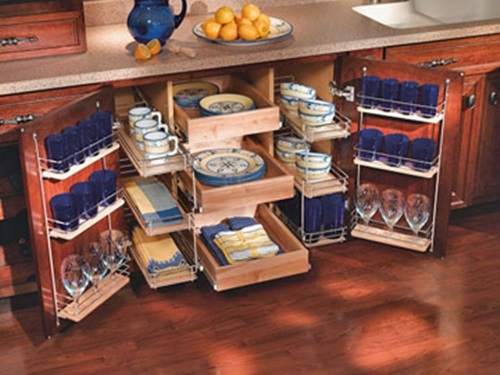 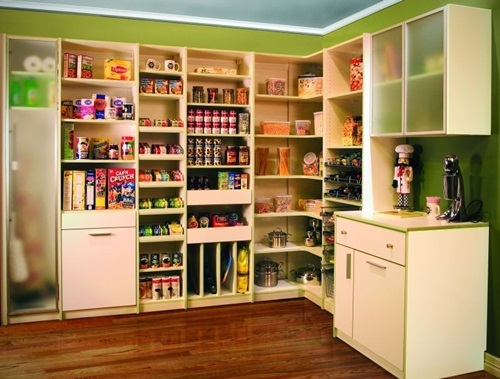 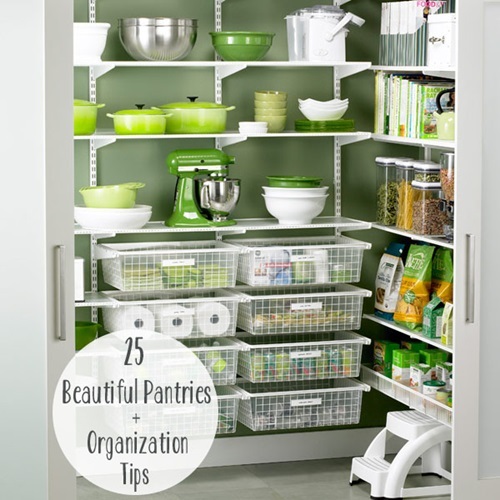 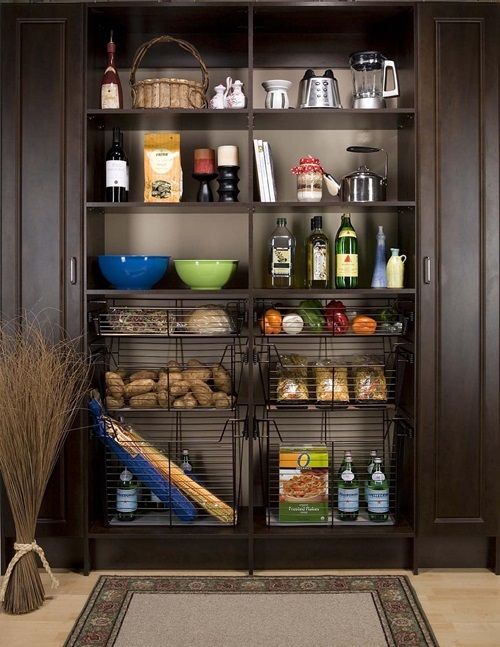 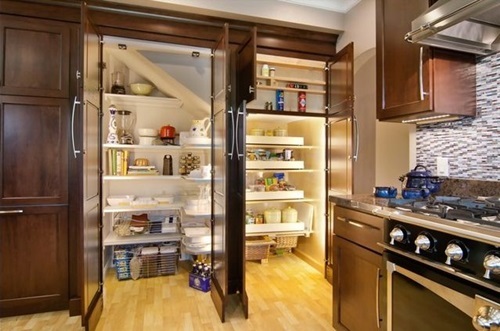 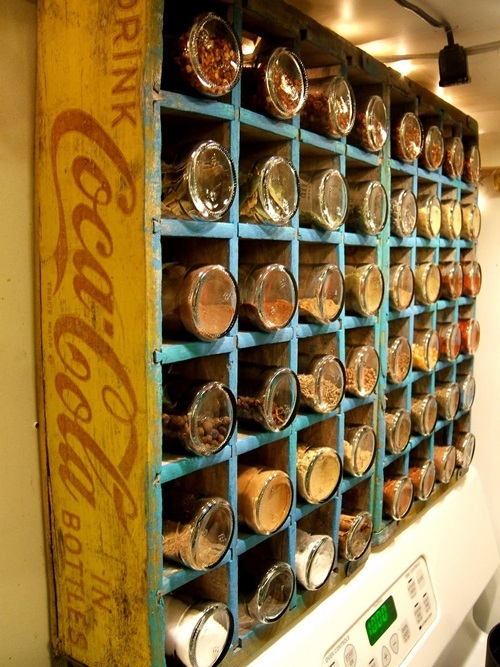 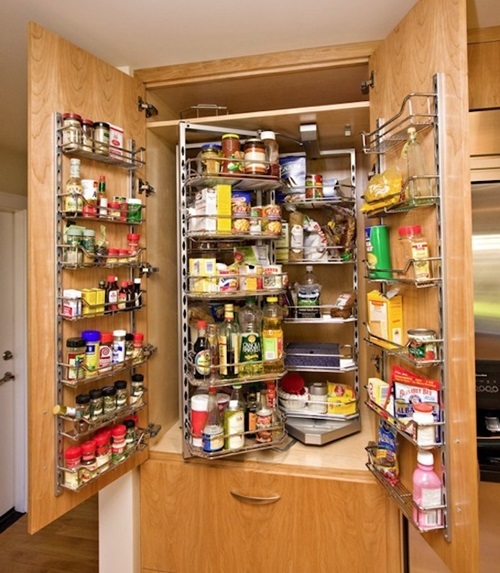 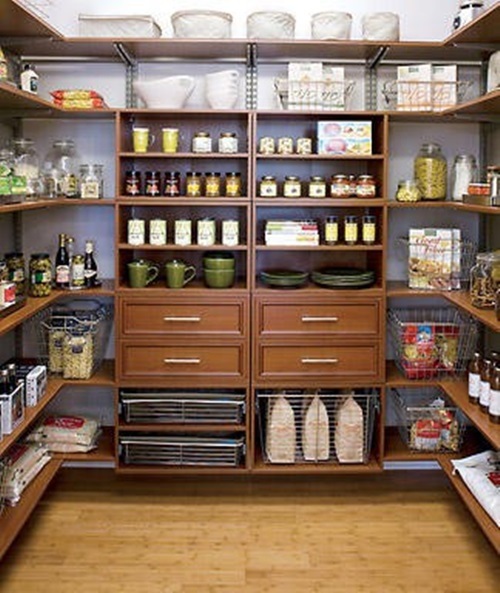 That is why I wanted to share these ideas with you, so you can make your pantry looks much easier.